Eat these superfoods for eczema and a healthy gut! Ever since I managed to clear my eczema through healing my gut, many of you readers have asked me about what types of food to eat to build a strong eczema diet. I’ve given suggestions on proteins and fats that are good for your skin in previous articles, but here I want to focus specifically on nutritionally dense foods that feed good bacteria in your gut. AKA: Superfoods! These are some of the best gut-friendly superfoods that you can add into your diet to help you to heal your gut and your eczema! The same foods can also help if you’re suffering from digestive issues. Why do you need eczema superfoods? When you have a condition like eczema, or if you are suffering from any other type of digestive or gut-related disease, having enough beneficial gut bacteria in your body is important, as you need enough good bacteria to help your gut as well as maintain overall health. These good bacteria help lessen eczema by helping your body fight off dangerous and inflammatory toxins, balance your hormones, produce serotonin for your brain, and help keep our immune system in good shape. 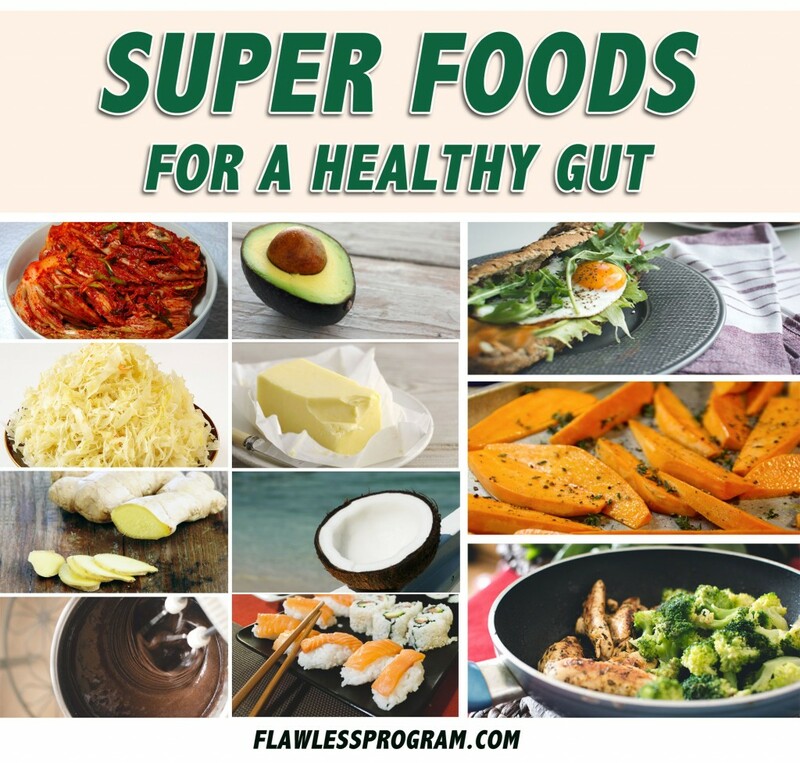 The foods below are focused on being good gut bacteria promoting foods, meaning that they’ve been shown to help multiply and grow the good bacteria in your body. These foods will help to lessen the inflammation in your body, while providing you vitamins and nutrients to feed healthy skin. If you’re on the 30-day program to heal your eczema and gut, then bookmark this article on your phone and make sure to check it out on your next grocery run. 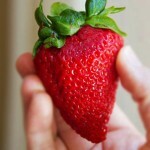 Superfoods for eczema and a healthy gut! Found for centuries in Korean culture, this tasty condiment is full of enzymes, vitamins A and C, and probiotics for your gut. A 2005 Seoul National University study found it was so beneficial for your immune system that it helped speed recovery in chickens with the avian flu! You can make yourself or if you want to buy it, I’ve also seen it in many grocery stores. You could even go to your local Korean restaurant and ask them if they sell preserves. Use it in salads or to flavor meats: all you need is 2 or 3 tablespoons a day to help improve your digestive system! 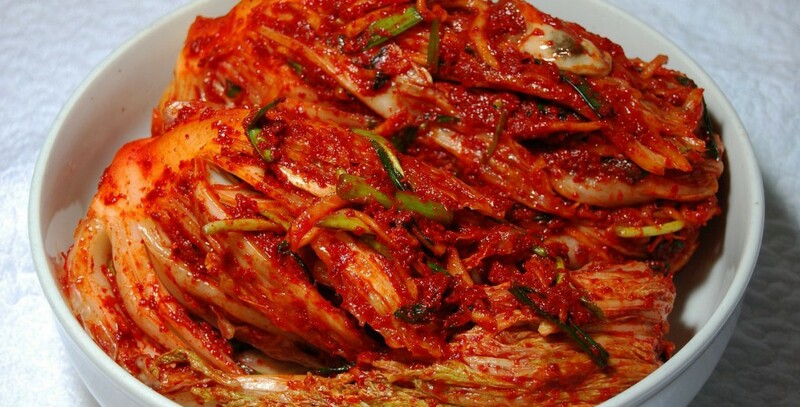 Similar to kimchi, this fermented cabbage mixture has been around since the early 1900’s, and has been used in the past to treat gut-related illness. Sauerkraut contains lactobacilli plantarum, a good bacteria that has been shown to give your immune system a big boost if eaten regularly! For true probiotic benefits, avoid canned sauerkraut, because it’s pasteurized. 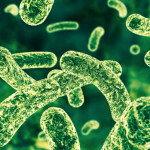 This means that the healthy bacteria is mostly killed off. Instead, make your own or buy fresh. One of the oldest natural superfoods! The antioxidants in ginger helps combat inflammation in the intestinal tract, and helps to lessen gut irritation, it can also help if you’re experiencing nausea. Cut and chew on a few small pieces of ginger daily to produce some good gut results! Yay, it’s not too good to be true! Researchers recently discovered that certain beneficial bacteria in your gut, break down and ferment certain properties in dark chocolate, turning them into anti-inflammatory compounds that are good for your heart and gut! It’s even suggested to have 20-30g of chocolate daily! Yes, please! To maximize chocolate’s benefits, make sure it’s low in sugar and high in cocoa butter content such as 80-85%. Avocado’s are full of B complex vitamins, vitamin C, and beneficial fibers that help aid digestion and improve collagen production in your gut. 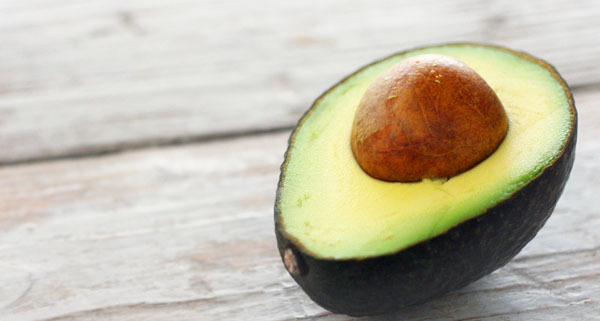 I ate avocado’s regularly during the 30-day program, and I still include them in my diet! Add about half a cup of sliced avocado daily or as often as you can. As I explained in my previous article “Why healthy skin needs fat”, not all fats are bad for you! Especially not those found in butter. If you can’t handle the dairy, then try Ghee. It has many of the same nutritional values without the dairy. Grass-fed butter is full of good saturated fats that will boost your immune system, protect cell integrity, and help you to absorb necessary vitamins for skin repair. I recommend buying brands that grass-feed their cows like KerryGold or Anchor. 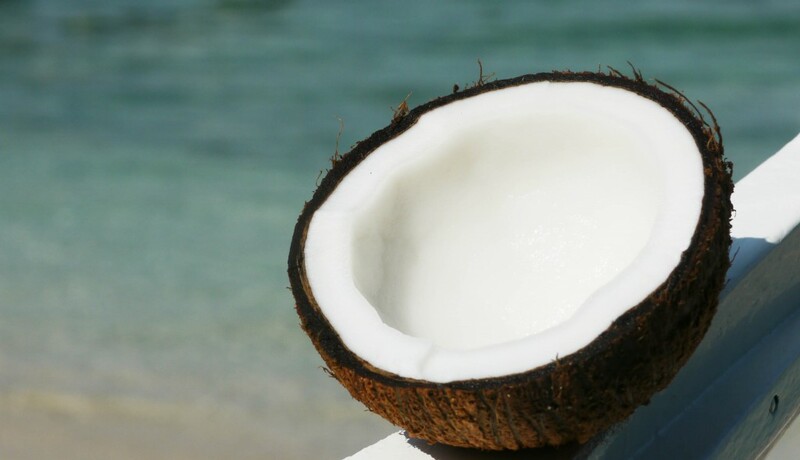 The medium chain fatty acids found in unrefined or pure coconut oil greatly help to rebuild, repair and improve damaged gut lining, caused by high inflammation. If you have a leaky gut, coconut oil is king! For the best gut health benefits, have coconut oil daily, uncooked, like in salad dressings. I ate a lot of fish when I was healing my gut, particularly salmon due to it’s high omega-3 properties. Also, it’s a good excuse to eat sushi! The nutrients and omega-3 fats found in salmon greatly help to reduce inflammation in your gut caused by bad bacteria. If salmon is too expensive, consider other fish high in Omega-3 like sardines or wild cod. You could also take fish oil supplements to increase your omega-3 intake. Garlic is a powerful antioxidant and probiotic, that can help to kill off bad bacteria and promote the growth of beneficial bacteria that we need in our gut. 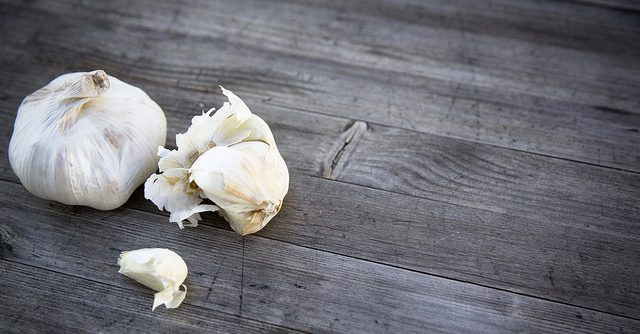 Taking 1-2 cloves of garlic daily with a meal can increase the good bacteria in your gut. Broccoli are naturally potent prebiotics, meaning that they are nondigestible or partially digestible food ingredients. Prebiotic foods stimulate the growth of healthy bacteria and promote better overall health. Basically, your beneficial gut bacteria love them! 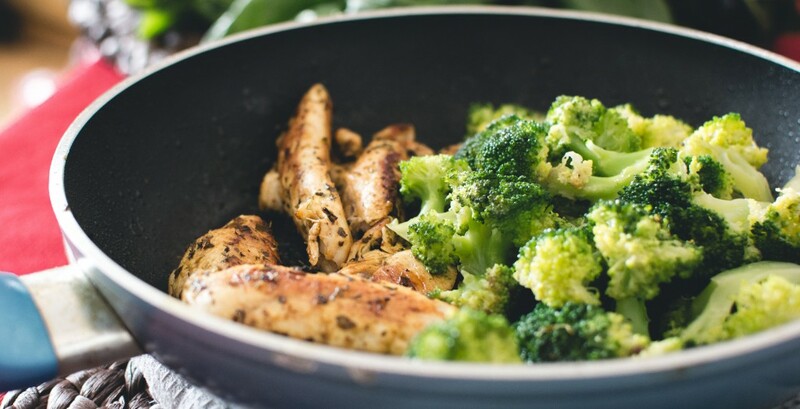 Throw a cup of broccoli into your next dinner dish! Don’t be afraid of eggs! Eggs and especially the yolks contain fat soluble vitamins such as A, D, E and K as well as carotenoids lutein and zeaxanthin. These are essential skin vitamins, that our body needs to produce new skin cells. 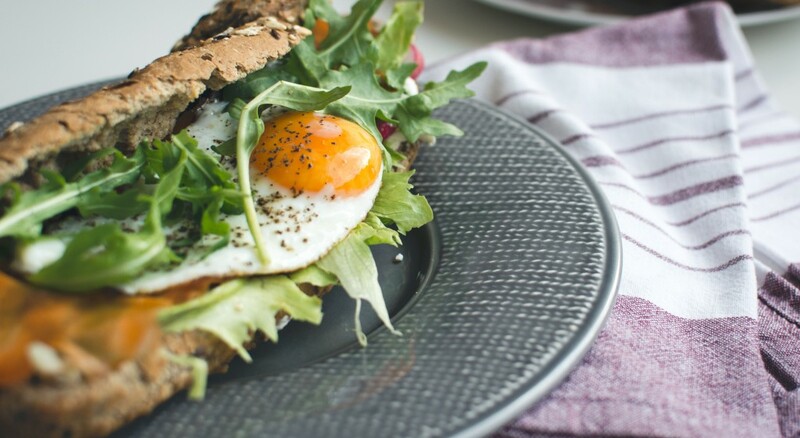 I like my eggs poached or sunny side up, on a slice of gluten-free bread with some arugula salad. These are a healthier alternative to the regular white potato. 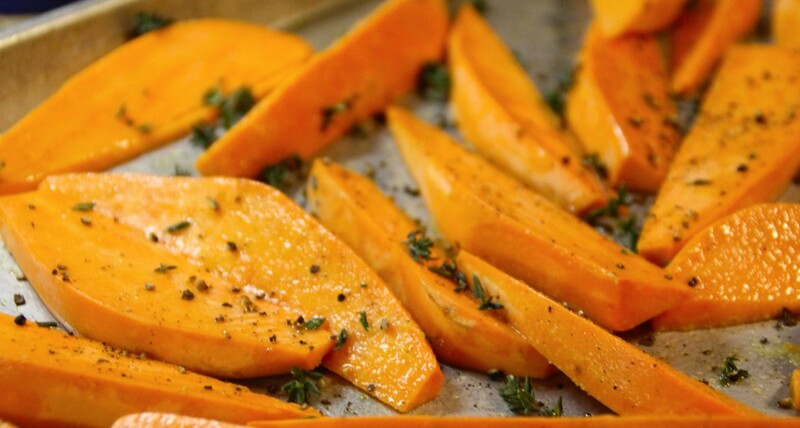 The starch in sweet potatoes are higher in fiber and shown to have a calming effect on your gut and digestive system, and the good bacteria thrive on them! My favorite way to eat them was to chop them like so, toss them in coconut oil, give them a good rub of thyme and salt, then let them roast in the oven. Mmmm. Grass-fed liver trumps many other vegetables in terms of dense nutritional value. In fact, just 100g of liver has more vitamins than 400g of carrots and apples combined! Liver is a storage organ for many important nutrients such as Vitamins D, E, K, B12, A, folic acid, copper, and iron. Liver helps our body get rid of toxins, and gives a massive boost to our gut and immune system. I suggest eating liver as often as you can, at least 100g twice a week. I used to hate eating liver until my husband introduced me to what he calls “the French way”. Slice the beef liver thin, then throw it into a hot skillet pan with a generous amount of butter. When the outside is a bit crispy, make its sauce by adding some salt, pepper, and creme fraiche (coconut cream for dairy free). Simmer for 2 minutes, then serve with some Dijon mustard, green beans and quinoa. Tastes better than a beef steak dinner! I hope this post gives you some ideas on ways to grow and improve your eczema and gut bacteria! 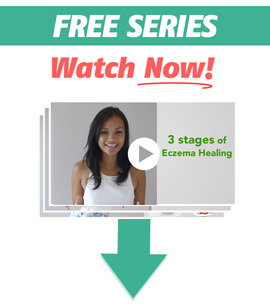 Just remember, in order to get the maximum benefits for your eczema, you ALSO NEED to eliminate inflammatory foods and eczema triggers from your diet, like I talk about in my free training series on how to clear your skin for good! Doing this, along with building a strong eczema diet by eating these types of gut-friendly foods can dramatically improve your eczema condition, and bring you closer to being eczema free! 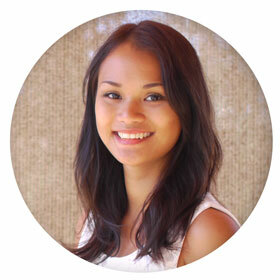 Hi, dear Christina, thank you for having shared your knowledge and experience. I am sure lots of people will find it invaluable. I have a friend who has eczema, and hope your post can help her! thanks a lot. Hi, dear Christina, thank you for having shared your knowledge and experience. I am sure i will find it valuable, and hope your post can help me! Thank you for your wonderful and informative website. You’re welcome Lori. Please feel free to share this article with anyone who needs direction for their eczema diet! Hi Christina. When initially healing and a eating clean diet and detoxing, is it normal for the skin to get worse before it gets better? You have the most comprehensive, most helpful website on eczema I’ve ever visited, Christina. I keep checking my emails for new stuff from you. I have a much better understanding now of the eczema-gut connection and what I can do about it. I have greatly reduced my sugar-wheat/gluten-dairy intake, and eating the right foods. I feel better, my skin looks better, and I don’t itch as much. I have also stopped eating yogurt that contains histamine-carrying strains and other histamine rich foods. Thank you, thank you, thank you!!! Btw, guava leaf tea treats my dermatitis as it prevents histamine release. Hello and thank you for your kind words! It’s so good to hear that the guidelines of the flawless program are helping your eczema improve! Means a lot. 🙂 Good tip on the guava leaf tea, I’ll look into it! Hi Christina, thank you for sharing this! For eggs, we should first see if we are intolerant to them or not, right? I loved this article so much and I’ll definitely be checking out this page on my next grocery run! Just one question, most websites say that eggs are a highly inflammatory food… They tell us to avoid eggs along with dairy and gluten/sugar. So what should we really be doing? Hi Noor! I think eggs will only have a bad effect if you are allergic to them. Otherwise, they can be a great source of vitamins and nutrients. Hi Christina! I am getting through TSW and it is really bad. I am very confused about all the diet tips on the internet because everything contradicts everything. Do you suggest getting glutenfree or only wheatfree?? I am allergic to wheat and rye, but the other things are ok? Like Oats and spelt? I eat a lot of that.